Petit Collage Ocean Parade Print 11x14 - Vancouver's Best Baby & Kids Store: Unique Gifts, Toys, Clothing, Shoes, Cloth Diapers, Registries. 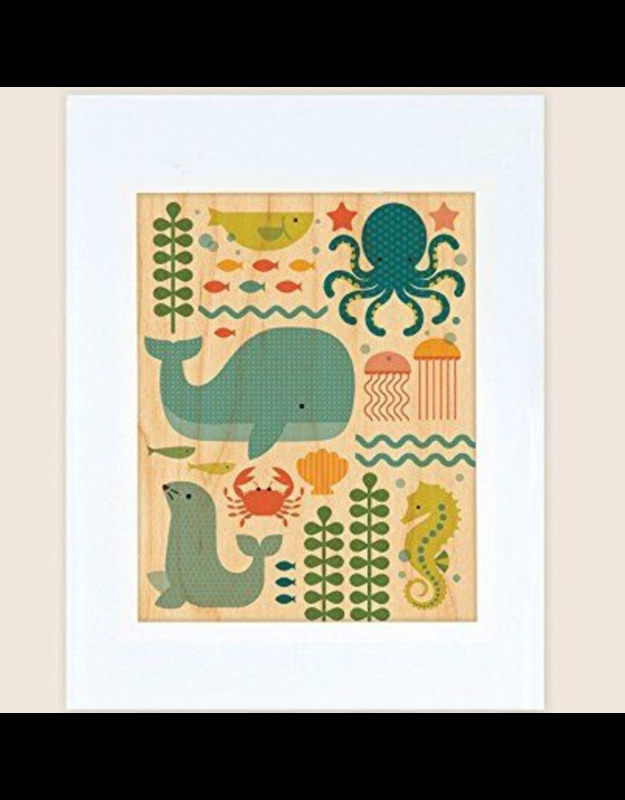 Petit Collage wood art prints are the perfect way to decorate your nursery or child's bedroom. Choose a few prints to create your theme, frame them in 11 x 14 inch frames and you're done! Each print comes on maple veneer unframed, matted and sealed in a glossy sleeve.